Some days ago I wrote a post on this blog about the 1st Ashes Test between England and Australia at Cardiff which resulted in an England victory. In that piece I celebrated the team spirit of England’s cricketers and some memorable performances with both bat and ball. I also suggested that England had a realistic prospect of regaining the Ashes. 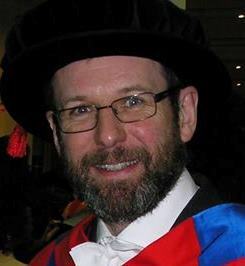 However, in the light of Australia’s comprehensive victory in the 2nd Ashes Test at Lord’s during which the England bowlers were ineffectual, their batsmen inept and the team spirit non-existent, I now realize that my earlier post was misleading and that they actually have absolutely no chance of regaining the Ashes. I apologize for any inconvenience caused by my ealier error. P.S. Kevin Pietersen is 35. 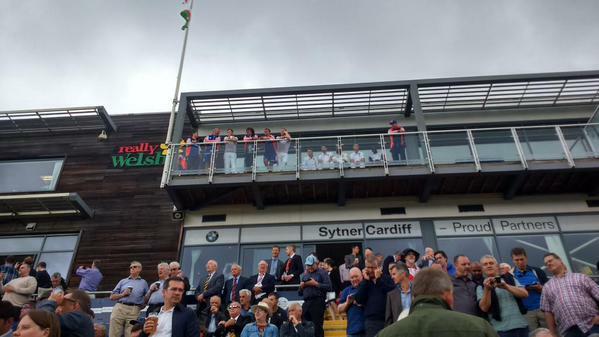 Last Wednesday (8th July 2015) I had the good fortune to be in the crowd at the SWALEC Stadium in Cardiff to see the first day’s play in the First Test between England and Australia of this summer’s Ashes series. I have to say that I was very apprehensive about how the game would go, but as I was in Wales anyway I couldn’t resist being there to watch it. I think I can say without fear of contradiction that it didn’t turn out too badly. Play eventually got going about fifteen minutes late, though it could have started earlier had the Powers That Be dispensed with some of the silly preliminaries. It did rain a little before lunch too, but the players didn’t come off. Thereafter the weather steadily improved and we got a full day’s play, closing at about 6.45pm. I even had sunburnt knees as a souvenir, as I had decided to wear shorts for the day and the stand we were in offered no protection from the afternoon sun. Good job I had brought my sunhat. England had won the toss and decided to bat. The desire to have first use of a good batting pitch must have been tempered in England Captain Alastair Cook’s mind by the likelihood that the overcast conditions would help the Aussie fast bowlers. England struggled early on with the bat, Lyth getting out cheaply playing across a straight one from Hazlewood (who was in the team to replace the injured Ryan Harris) to leave England at 7 for 1. Ballance battled hard at Number 3 but Cook at the other end looked relatively comfortable. Then Michael Clarke threw the ball to offspinner Nathan Lyon to have a go at the lefthanded Cook who seemed impatient to score off him. That proved his downfall as he was out for 20, caught at the wicket, trying to cut a short ball. Ian Bell came, scored one run off a nervous looking lofted drive and was then dismissed leg before wicket by a good inswinger from the excellent Mitchell Starc. At 43-3 England were on the brink, and could have fallen over it a few balls later when new batsman Joe Root played a strange shot at his second ball, a very full swinging delivery from Starc which resulted in an edge that went at a good height to wicket-keeper Brad Haddin diving (somewhat theatrically) to his right. Fortunately for England, Haddin spilled what looked a relatively straightforward chance; having seen the replay a number of times I don’t understand why Haddin didn’t go for it with both hands. At 43-4 England would have been in deep doo-doo, but as it happened Ballance and Root steadied the ship and after a tense morning England reached lunch at 88 for 3. The ball certainly did swing in that morning session, but the predominant impression I got was that it was a very flat pitch, with very little bounce. Watching from a position square of the wicket to a batsman at the River Taff end, it was noticeable how many balls didn’t carry through to the wicket-keeper. Indeed, Warner’s excellent slip catch to take the wicket of Lyth was harder than it needed to have been because the slips were standing too deep for much of the game. Mitchell Starc was easily the pick of the Australian bowlers; the other Mitchell (Mitchell Johnson) laboured ineffectively on the kind of pitch he clearly doesn’t like to bowl on. He was expensive too. England’s Nemesis of the 13/14 Ashes Tour down under was to finish with 0-111 off 25 overs. After lunch the sun came out and the character of the play changed. Root and Ballance completed partnership of 153 before Ballance fell for 61 with the score on 196 for 4. This ushered in the belligerent Stokes who didn’t have it all his own way – he got into a tangle trying to hook a Mitchell Johnson bouncer, sending it high over Haddin’s head for six – but Root at the other end had ridden his early luck and made an excellent century. Root is currently in unbelievably good form and it says something for his temperament that he looked bitterly disappointed when he eventually got out for a superb 134, shortly followed by Stokes who made 54. The score was then 293 for 6, by no means enough runs on a good batting pitch but a good recovery from 43-3. Buttler and Moeen Ali added another 50 partnership in quick time until Buttler fell nearly at the end of the day’s play. I was particularly impressed with Moeen’s batting late on and it was he who produced the short of the day for me – a magnificent sweep into the stands for six off the bowling of Lyon. Broad survived a torried couple of overs to leave England on 343-7 at the close of play. I couldn’t help recalling that the closing score on the first day of corresponding fixture in 2009, which ended famously in a draw, was 336-7. On that occasion, England’s tail wagged brightly the following morning (when I was in the ground) to take their score to 435 all out. As things stood, I felt that the match was evenly poised. If England could do something similar to their feats of 2009 on the second day of this match then they would have a good chance of winning, but if Australia could take quick wickets they would have the edge. Unfortunately I only had tickets for the first day so I ad to keep up with the rest of the match on the radio and via Twitter. On Day 2, England’s tail did wag – Moeen scoring an excellent 77 – to finish on 430 all out. So far the pattern remained similar to 2009, but that was about to change. Australia got a much better start to their first innings than England had, but lost wickets at the end of Day 2 to close on 264-5 – a far cry from the 248-1 which was their position at the end of Day 2 in 2009. The following morning they were all out for 308, a deficit of 122. England batted again on Day 3 and, not without moments of alarm, accumulated enough runs to build an imposing lead; they were eventually all out at the end of Day 3 for 289. Australia needed to score 412 to win with two days left, though the forecast for Day 5 was for heavy rain. Clouds had returned to Cardiff for Day 4 (Saturday) and the Australian batsmen were in all sorts of difficulties against the swing on Anderson and Broad. Rogers fell cheaply, Warner was having trouble laying bat on ball, and the runs had dried up. Then Alastair Cook made I think his only tactical mistake of the match: he brough Moeen on to bowl too early. Warner seemed to relax and played some good shots. Moeen was withdrawn after just two expensive overs. The momentum had been handed back to Australia, who began scoring freely. In the last over before lunch they were 97-1, with two batsmen at the crease who were both perfectly capable of posting big scores. Then Cook brough Moeen back for one over before lunch, whereupon he trapped Warner lbw for 52. It was just the fillip England needed. After lunch Smith, Clarke and Voges fell in quick succession to leave Australia in the mire at 106-5. Neither Haddin not Watson stayed around long and Australia were soon 151 for 7. Mitchell Johnson batted defiantly in difficult circumstances, adding 72 for the 8th wicket with Mitchell Starc until their partnership was broken by none other than Joe Root, who as well as being a superb batsman is a spin bowler with an uncanny knack of taking important wickets. Root also took the catch, off the bowling of Moeen Ali, that sealed the game. Australia were all out for 242 about an hour after tea. England had won by 169 runs. Man of the Match: Joe Root, obviously. So, first blood to England. Of course there are another four Tests to go, starting at Lord’s on Thursday where the pitch may well be much more helpful to the Australian quick bowlers, but this result is better than I imagined at the start of the game and if England can keep it up they at least have a chance of winning back the Ashes. Don’t expect the Aussies to roll over, though. They will be stung by this defeat, and I full expect them to come back hard. P.S. 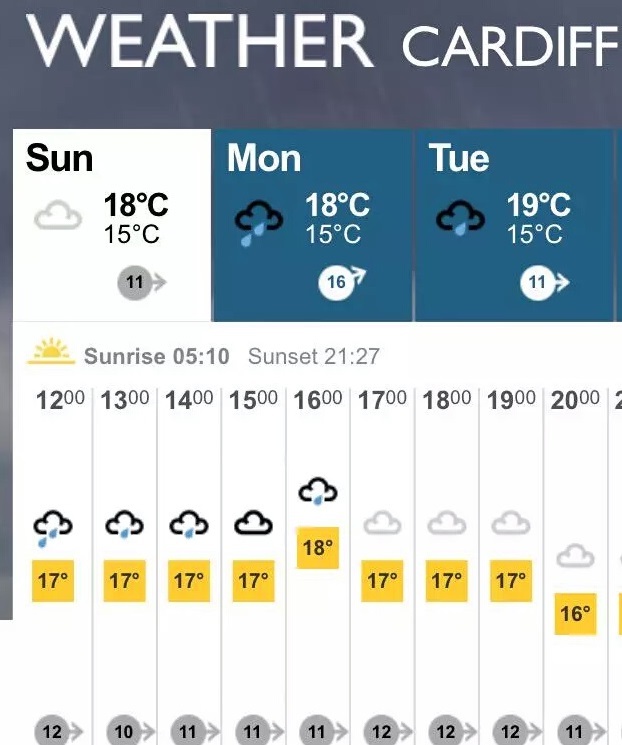 This was the weather situation in Cardiff earlier today, which would have been the fifth day. Had Australia batted through to the close on Day 4, it is quite possible that there would have been no play on Day 5, which means the game would have ended in a draw. Now I understand why this Test started on a Wednesday! P.P.S. Only three members of the current England team played in the 2009 Ashes Test in Cardiff: Anderson, Broad and Cook. 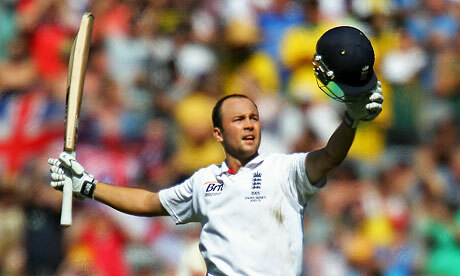 It seems like yesterday that I was celebrating a famous England victory in an Ashes series in Australia. In fact it was a little under three years ago. In that series the difference between the two teams was primarily in the batting, with opener Alastair Cook having a particularly brilliant series. Now England captain, Cook has struggled with the bat on this tour. Yesterday’s dismissal, first ball, more-or-less sums up his team’s weaknesses. The batting has been fragile, their bowling ineffective and their fielding unreliable. A bit more resolve in the batting, a few more opportunities taken in the field and things might have been different. The truth is, however, that since the opening Test in Brisbane England have been playing like a side expecting to be beaten. Once you’ve lost confidence like that it’s difficult to get it back, especially with Test matches coming up in such quick succession. Australia took the initiative early on, and have been ruthless in exploiting it. In the early hours of this morning, Australia won the Third Test in Perth to lead 3-0, and so take the Ashes having an unassailable lead in the 5 match series..
England had a good run of luck during this summer’s Ashes series in England – the weather getting them out of a couple of rather deep holes – but the Australian summer rarely shows such mercy on visiting teams, and England’s weaknesses have been cruelly exposed. I always thought England would have a tough time trying to retain the Ashes down under, but didn’t expect them to be so thoroughly outplayed. I wouldn’t bet against a 5-0 whitewash the way things are going. Shades of 2006/7. But enough of England. I would be churlish not to congratulate the Australians on their deserved victory. They have had a lean time for many years and I’m sure will enjoy the celebrations. There’s no doubt that the better side has won; they have trounced England in all departments. Well played the Aussies!